If you are a footballer, and particularly a defender who is fed-up with your goalkeeper constantly shouting instructions from behind you while you’re playing, "The Black Spider" Lev Ivanovich Yashin would be the person to thank for that. A footballing legend who changed the goalkeeping position forever during his playing days with Dynamo Moscow and the Soviet national team. Yashin, who is still considered by many to be the best keeper to ever step on a football pitch, has won numerous individual awards including the Balon d’Or and European Footballer of the Year, prestigious awards that only he had managed to collect while playing as a goalkeeper. An all-around athlete, Yashin spent his early years playing in goal both for the Dynamo Moscow football club and their hockey outfit as well, winning the Soviet league hockey championship in 1953. After winning the Olympic gold medal with the USSR two years earlier in Australia, Yashin was called-up to the Soviet squad that traveled to Sweden. 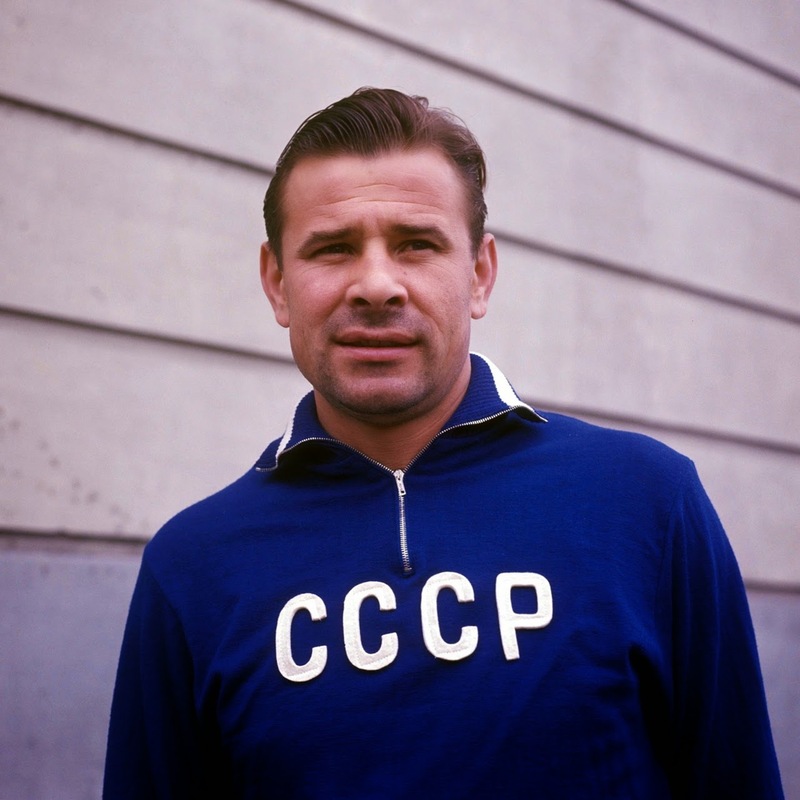 Put into a group with Austria, England and eventual tournament champions Brazil, there were doubts about the Soviets’ ability to advance to the next stage of the competition, But Yashin put his stamp on the tournament right from the get-go. The Soviets’ got off to a good start with a 2-2 draw against England, and in their second match Yashin managed to keep his first ever World Cup clean-sheet against the Austrians, winning 2-0. In the last group match the Soviets met the Brazilians and even though the eventual score would favorite the South Americans, Yashin would put together an acrobatic display in front of more than 50,000 spectators, that witnessed a goalkeeper deny Brazil the opportunity to turn the close affair into a rout. With enough goal-scoring chances to run-up the score-line to 6 or 8 goals, the Brazilians were frustrated time and time again by the keeper from Moscow, and in their first ever World Cup appearance the Soviets were off to the next round thanks to their hero between the posts. In the quarter-finals USSR lost to the host nation Sweden, but Yashin’s display against the Brazilians was one of the highlights of the whole tournament and hope for the Soviet national team for years to come. Two years later, in the inaugural UEFA European championship tournament in France, Yashin and his national team would lift the trophy and be crowned the best team in Europe. In 1962 Yashin would travel to Chile for his second appearance with the USSR in a World Cup tournament. With immediate impact after a clean-sheet against Yugoslavia Yashin was in the spotlight once again. Controlling the penalty box and shouting instructions at his defenders, Yashin transformed the goalkeeping position from a passive one to the proactive, athletic and aggressive kind we know it as in the more modern game. In his second group match Yashin gave up an unprecedented tally of 4 goals against the Colombians, in the eventual 4-4 draw. But after another solid outing in the final group match (a 2-1 victory over Uruguay), all was forgotten as USSR qualified to the next round in their second consecutive World Cup appearance, this time qualifying as the winners of their group. In the quarter-finals yet again the Soviets could not handle the pressure of facing the host nation and were sent packing back to the motherland after a 2-1 loss to Chile. 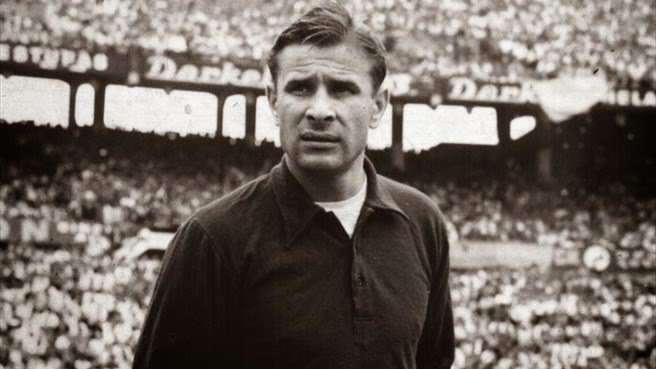 The quarter-finals appearance in the World Cup in Chile seemed to have provided Lev Yashin with more confidence, as he would go on to win his last of five domestic championships with club Dynamo Kiev, the European Player of the Year and Balon d’Or awards the following year. 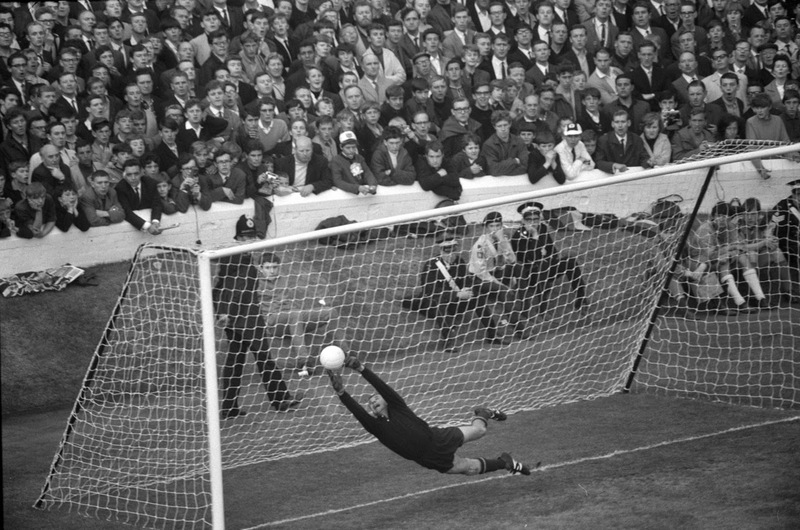 In the 1964 edition of the European Championships, defending champions USSR with Yashin in goal managed to get to the final match yet again after another clean-sheet for the keeper in the semi-finals against Denmark. USSR would go on to lose to a host nation once more though, with a 2-1 loss to Spain in the finals. At the 1966 World Cup in England, Yashin and his squad were motivated to take a further step in their third consecutive tournament appearance. 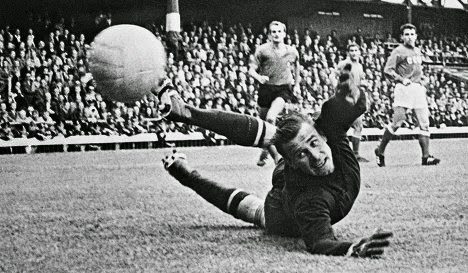 Although Yashin’s starting spot in the Soviet goal was not guaranteed this time around, in his only match in the group stage the keeper managed to keep a clean-sheet against the Italians and help his squad to another group win and a place in the quarter finals. In the quarters Yashin started in goal once again, and after a brilliant display in their 2-1 victory over Hungary, the Soviets have made it further in the tournament than ever before. In the semi-finals USSR was paired against a strong West Germany side, with the likes of Franz Beckenbauer, Helmut Haller and Uwe Seeler in their squad. Yashin kept all but two strikes from going in, and the eventual 2-1 loss sent the Soviets to the 3rd place match where Yashin would start in goal once more, this time against Eusébio’s Portugal. Eusébio’s goal from the spot in the 12th minute and an 89th minute strike from Benfica star José Torres provided Portugal with a 2-1 win, but despite two losses in a row USSR claimed their highest World Cup finish with a 4th place in the tournament’s final standings. Yashin was not called-up to the Soviet team for the 1968 European Championships Italy. But although the 1966 World Cup is known as his last World Cup appearance, in 1970 and at the age of 40 Yashin traveled to the World Cup in Mexico as the third choice keeper for the USSR national team, mostly in the capacity of a goalkeeping mentor. After the World Cup tournament in Mexico Yashin retired from professional football with 20 years of play under his belt. He spent his 20 years in the game with just one club, Dynamo Moscow. In 1986 Yashin suffered a thrombophlebitis (blood clot related complication) and had one of his legs amputated. He died of stomach cancer on March 20, 1990 at the young age of 60.